Are you having a problem with stinging insects or mosquitoes as you spend time with the family in the outdoors? No matter how much you are struggling with insects or rodents, Big Blue Bug Solutions can provide you with relief! Whether it’s a squirrel taking up residence in your attic or suspicious looking spiders scurrying around in your basement, our highly trained Easton exterminators can help. With over 80 years experience, we can resolve your pest problems and protect your home and family for years to come. Learn more here! Have you noticed ants in the kitchen or bathroom? The professionals at Big Blue Bug Solutions can help show you some practical ways to prevent ants from coming in your home. Big Blue Bug Solutions also offers a residential pest management program called the Home Owner’s Policy, or HOP for short. This program includes three visits per year, preventative treatments and monitoring for susceptible areas. If you see any pest activity between visits, we will come back free of charge! For Easton pest control, call Big Blue Bug Solutions! There are several things you can do to help prevent common household pests like ants and cockroaches. Keeping your kitchen free of food crumbs and keeping leftovers in tightly sealed containers is a good place to start. This will help reduce the food that would attract unwanted pests. Should you continue to have a problem, the Easton exterminators at Big Blue Bug Solutions can help. We can evaluate the environment, identify the problem pest and create a treatment plan based on your needs and budget. For reliable service and experience, call Big Blue Bug Solutions! The professionals at Big Blue Bug Solutions are also specialists in the unique needs of business owners. We understand the importance of a pest free facility or sales floor. Big Blue Bug Solutions offers a monthly maintenance program for commercial clients. Our trained technicians will visit monthly and monitor problem areas and perform preventative treatments. In most cases, we can handle everything in the monthly visit. Should we discover termite or bed bug activity, we will schedule a follow-up visit for those treatments. 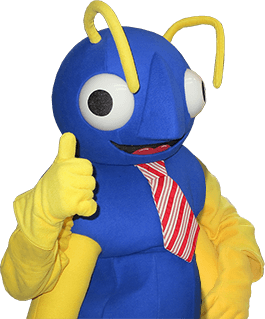 To help your business thrive and succeed, remember Big Blue Bug Solutions for your commercial property’s pest needs! Just a note to say what a superb job you did for our new home. Greg Erinakes was extremely accommodating & knowledgeable about our services and needs. I am sure that he is a valuable employee. Thanks again." I spoke with you this morning regarding a testimonial for Mike and Harry. My father in law asked me to write a review on the quality of service extended at both his home and business. He is extremely happy with his service reps Mike and Harry and would absolutely refer the Big Blue Bug in the future. Keep up the good work....."